Now that you’ve broken all your New Year’s resolutions, get yourself back on track and commit to elevating sustainable landscapes in the market and in professional practice. Take the SITES AP exam and become part of the first round of exam candidates. The SITES AP is a new credential for landscape professionals from GBCI, providing you with the opportunity to demonstrate your knowledge, expertise and commitment to the profession. Whether you are a landscape architect, designer, ecologist, civil engineer, arborist, educator, architect, builder or developer, earning a SITES AP credential showcases your commitment to sustainable landscape design and development. Anyone who schedules and takes the exam by March 13, 2017 will be a part of the first cohort of SITES AP credential holders, will have their names featured on the SITES website and will receive their exam results on March 31, 2017 or earlier. Also, anyone who takes the exam by March 31 will have the opportunity to retake the exam at no cost within 90 days of receiving their score. And don’t forget, we are still in the early adopter pricing period. 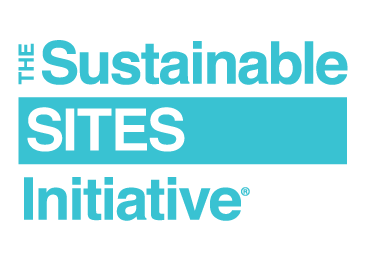 Until June 30, the cost of the SITES AP exam is only $300 for USGBC members, ASLA members, LEED Green Associates, LEED APs and WELL APs, and only $450 for everyone else. Now is the time to sign up and take advantage of this reduced pricing. Learn about the benefits of becoming a SITES AP.